An assistant director on Hayao Miyazaki’s sublime, stunning Kiki’s Delivery Service — a family-wide favorite here at Camp Morphizm — Sunao Katabuchi has since made his name well-known in anime film and television. 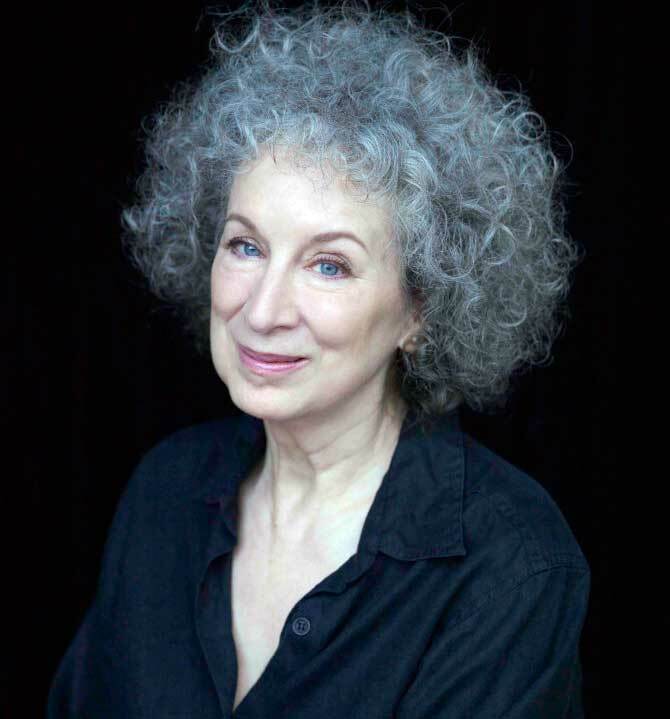 But his impressive new film, the award-winning Hiroshima epic, In This Corner of the World, might make him a household name worldwide. I recently spoke at length with director Katabuchi about those films and more, which you soon can read over at Cartoon Brew. 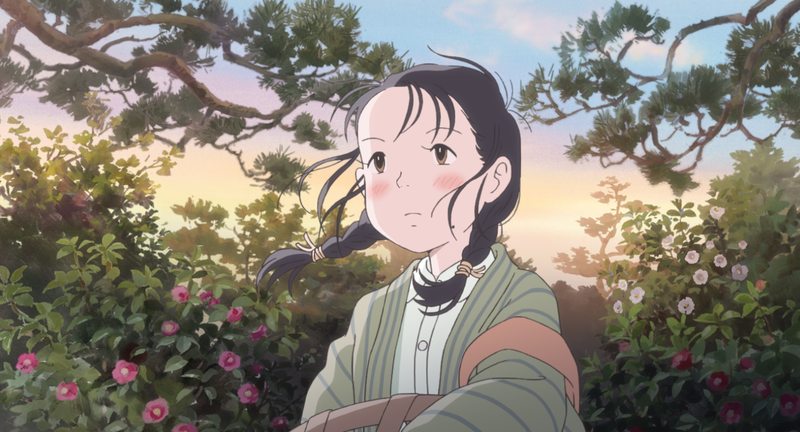 But now would be a good time to catch up with In This Corner of the World, a painstakingly researched examination of Japanese life during wartime, before it makes waves stateside later this summer. 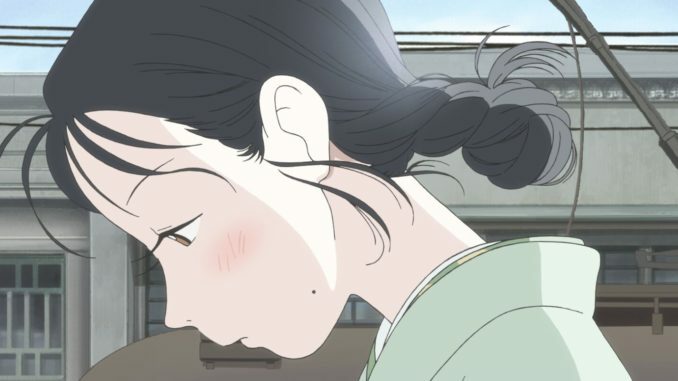 An empowering coming-of-age tale set against the backdrop of World War II, In This Corner of the World is a captivating story about the resilience and triumph of the human spirit. Based on the award-winning Japanese manga by Fumiyo Kouno, In This Corner of the World is written and directed by Sunao Katabuchi and produced by GENCO and Japanese animation studio MAPPA. Bolstered by emotionally resonant storytelling and exquisite hand-drawn animation, this acclaimed animated feature recently won the coveted Animation of the Year award at this year’s 40th Japan Academy award and Jury Prize at ANNECY 2017. 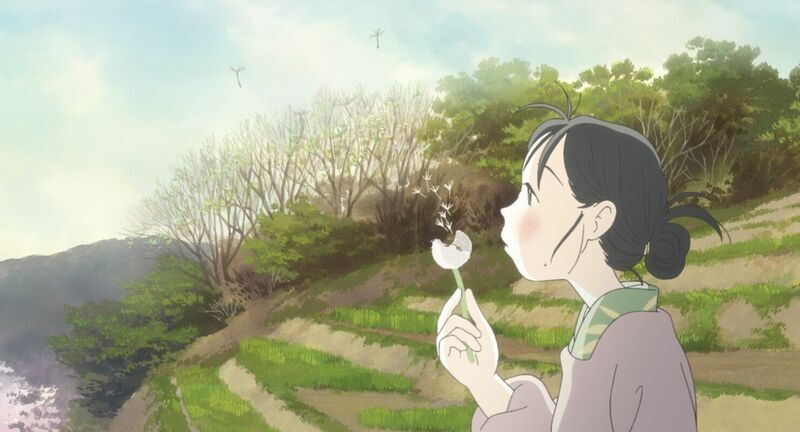 Animated feature In This Corner of the World opens this August in select U.S. cinemas nationwide. The film is rated PG-13 and has a run time of 129 minutes. 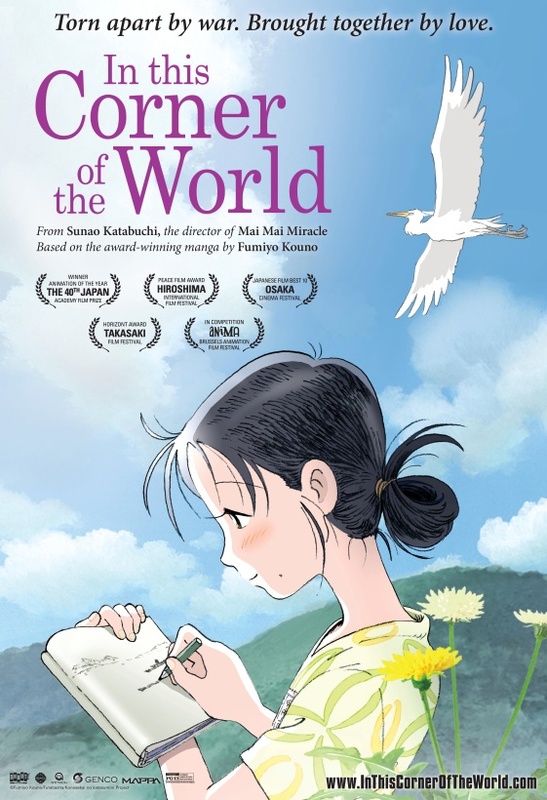 For more information about In This Corner of the World, please visit InThisCorneroftheWorld.com.